Please join us as we give a huge round of applause to all of our amazing riders for their commitment, determination and achievements! 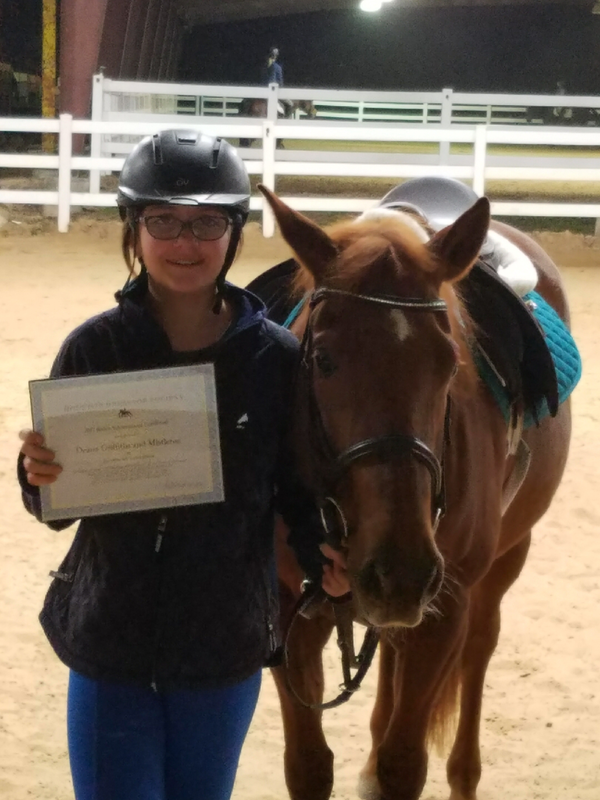 Allie & Havana Win Reserve Champion At Edgebrook Equestrian Center Competition! ​ Edgebrook Equestrian Center Competition! 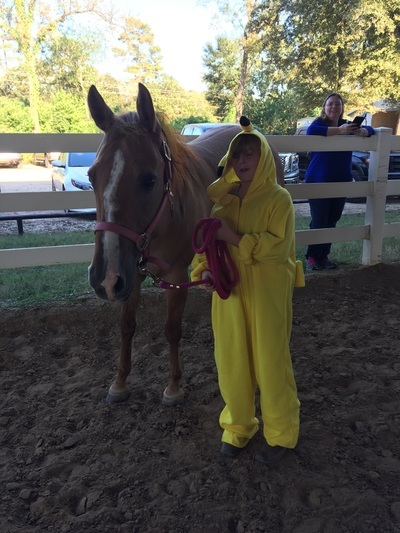 Callegari riders enjoyed multiple victories at the Edgebrook Equestrian Hunter Jumper Show held on November 11, 2018!!! 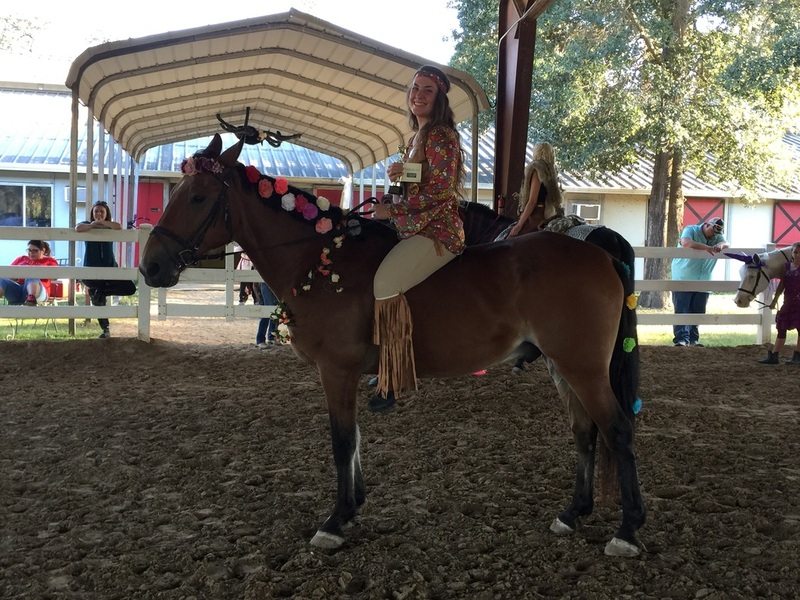 Morgan & Bo along with Anya & Boudreaux were all in the ribbons! Candid moments of happiness and success were captured with Callegari Trainer, Meghan Robertson! 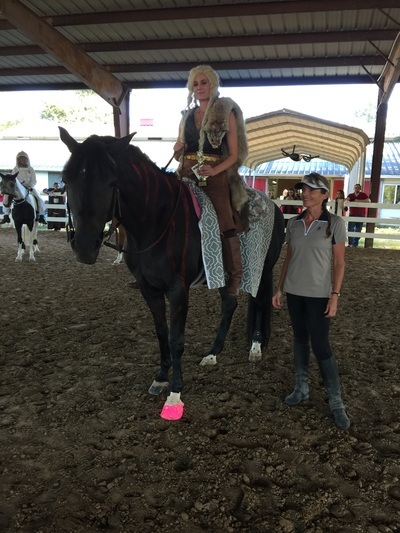 The Callegari Equestrian Center Spooktacular Dressage Show held on October 28th, 2018 was a HUGE success! 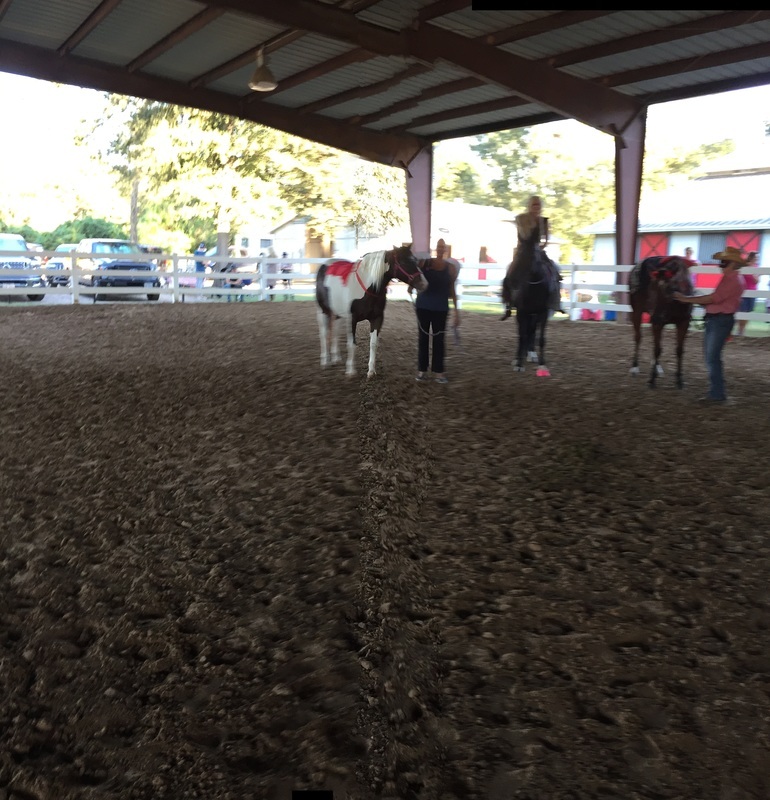 We had a an excellent field of competitors who brought their skill and talent to the Dressage arena. 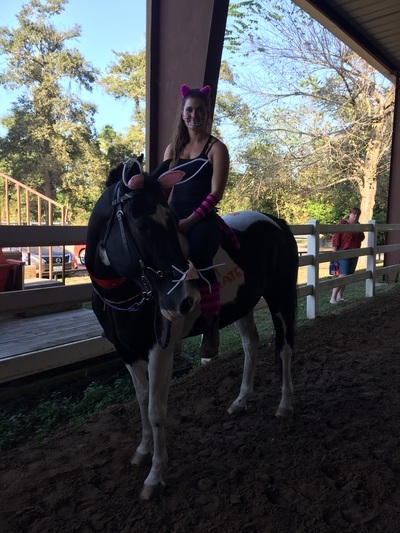 Many were showing for the first time; while others were adding to their show experience... and all competitors did a fantastic job as they danced their way through their Dressage tests! We are so proud of all our Boarders and Lesson Clients who participated and pursued their ribbons with purpose and passion. We look forward to cheering you on as you continue grow and excel in your equestrian endeavors! 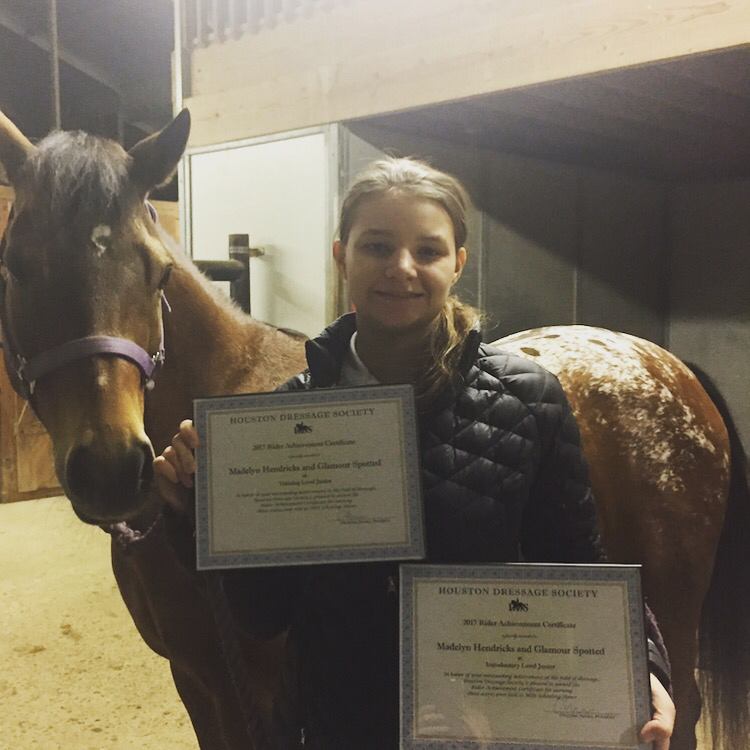 Callegari Equestrian Show Team Earns Recognition & Awards At The HDS 2017 Annual Awards Banquet Held At The GSWEC On January 20th, 2018! 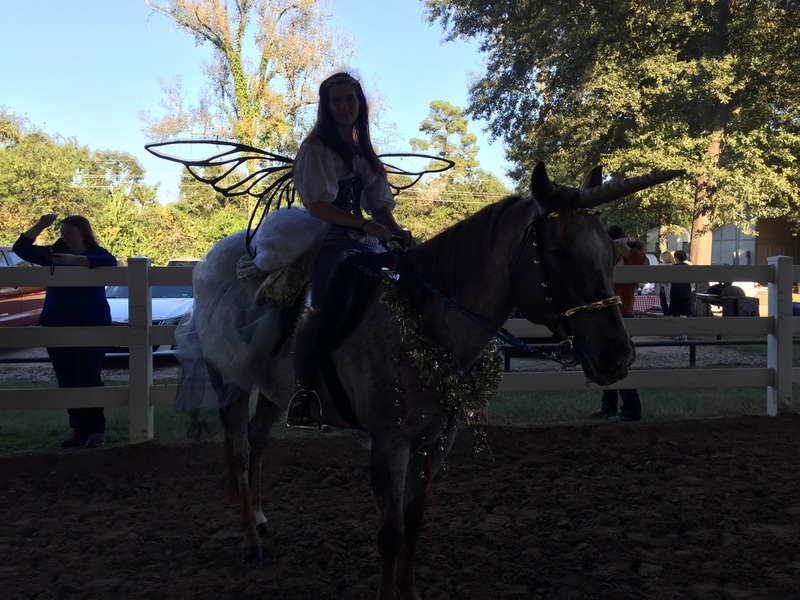 We are so very proud of our Callegari Equestrian Show Team riders for their outstanding accomplishments this past year! Congratulations To The Callegari Show Team! 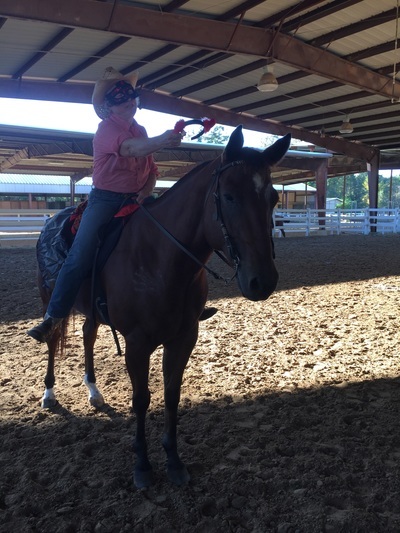 ​held on December 9th, 2017 at the Great Southwest Equestrian Center! Congratulations to Adult Amateur Championship Competitor Cheryl Black and Handsome Ransom for their 5th Place wins in Intro Level, Test B and Training Level, Test 3! 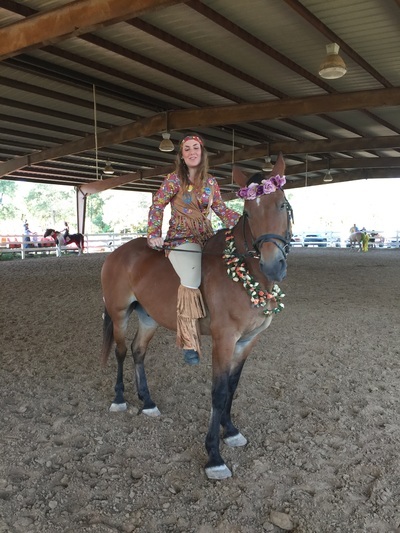 Congratulations to Jr. Open Show Competitor Ann Marie Callegari and Spartacus on their 2nd Place win in Training Level, Test 2! Congratulations to Jr. Championship Competitor Deana Griffiths and Mistletoe on their successful ride in Intro Level, Test B! Congratulations to Jr. Championship Competitor Madelyn Hendricks and Glamour on their rides in Intro Level, Test B and Training Level, Test 3! 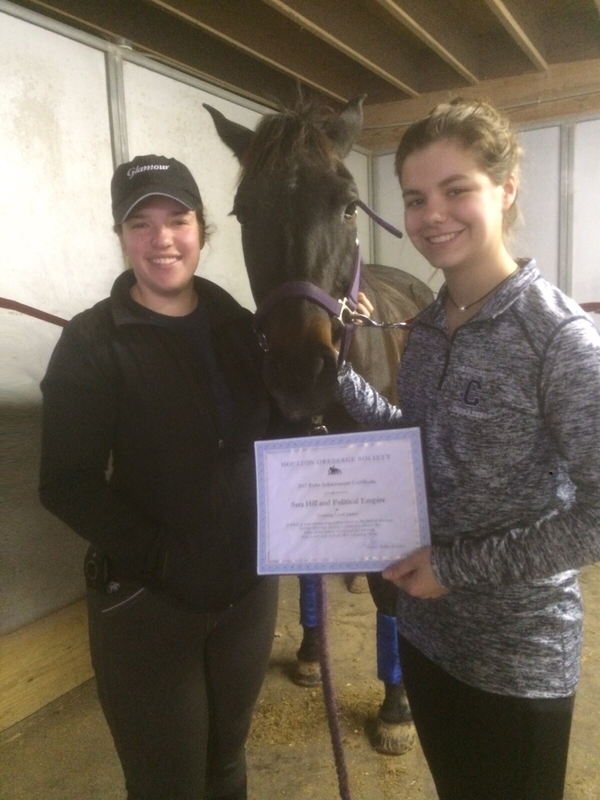 Congratulations to Jr. Championship Competitor Sara Hill and Haley for their 6th Place win in Training Level, Test 3. 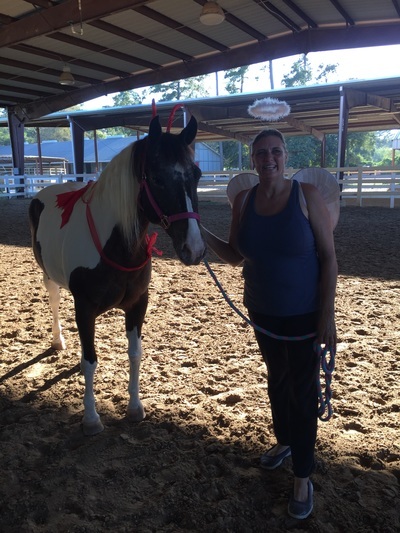 This dynamic duo also competed concurrently in the Open Show and took 1st Place in Training Level, Test 1! Congratulations to Jr. Championship Competitor Sarah Horrigan and Lady In Red for their 7th Place win in Intro Level, Test B. This dynamic duo also competed concurrently in the Open Show taking 1st Place in Intro Level, Test A and 4th Place in Intro Level, Test B! 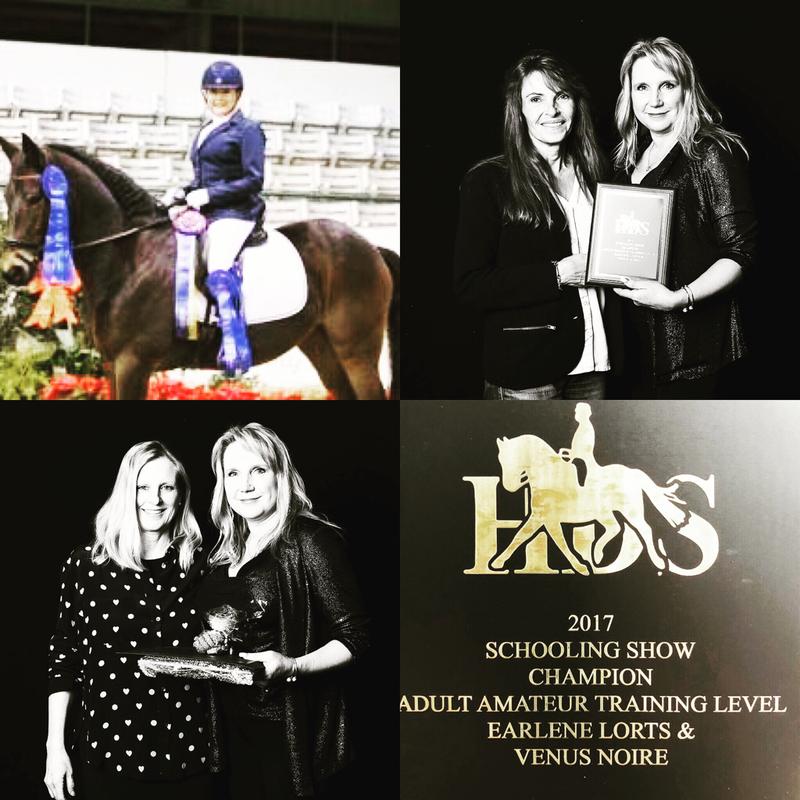 Congratulations to Adult Amateur Championship Competitor Earlene Lorts and Venus Noire for their 1st Place wins in Intro Level, Test B and Training Level, Test 3 - which earned them Champion and High Point Awards for the show!!! 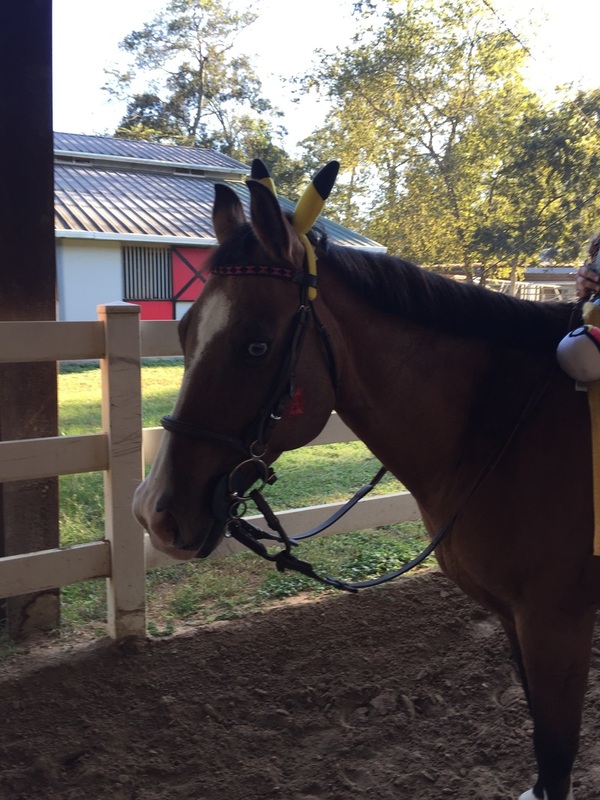 This dynamic duo also competed concurrently in the Open Show where they also took 1st Place in Training Level, Test 3! 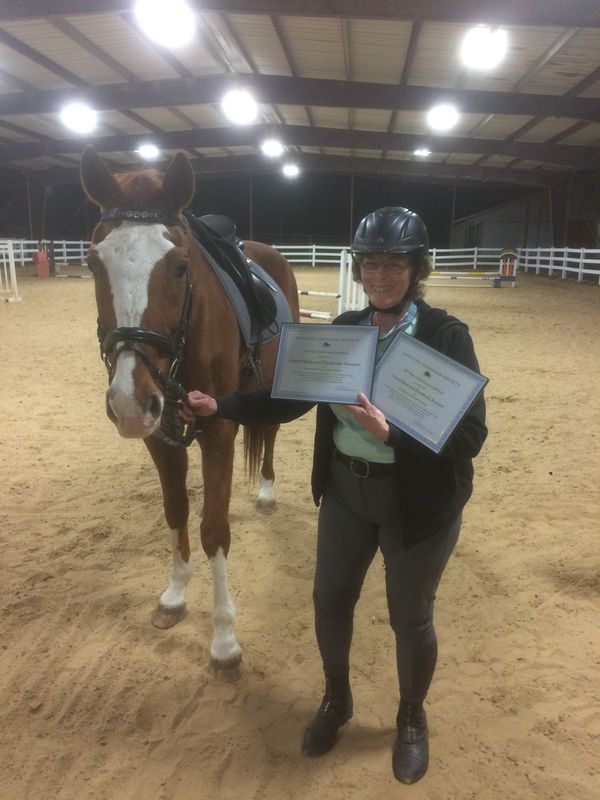 ​Congratulations to Adult Open Championship Competitor Michelle Majewski and Ace for their 3rd Place win in Training Level, Test 3. 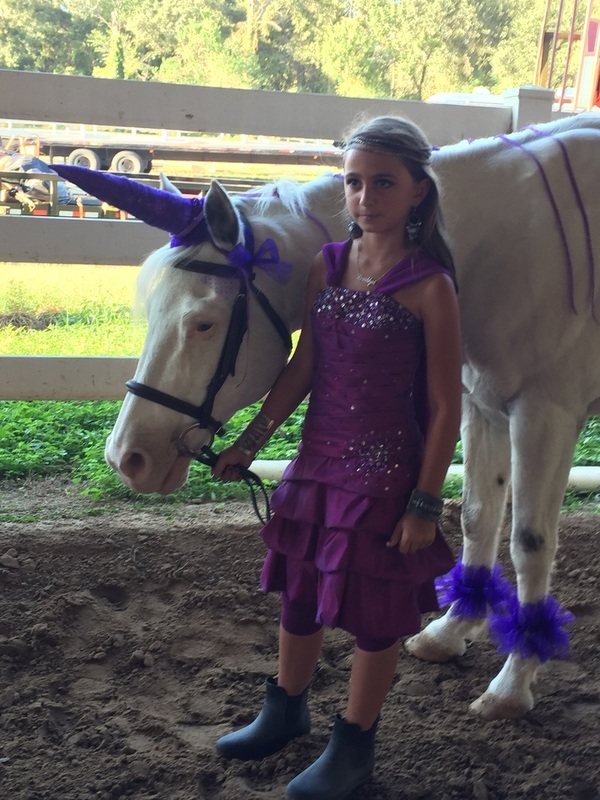 This dynamic duo also competed concurrently in the Open Show taking 3rd Place in Training Level, Test 3! Congratulations to Adult Open Championship Competitor Meghan Robertson and Dynamite Duke for their 6th Place win in Training Level, Test 3. This dynamic duo also competed concurrently in the Open Show taking 4th Place in Training Level, Test 1! Congratulations to Jr. Championship Competitor Morgan Hesters and Havana for their 6th Place win in Intro Level, Test B. This dynamic duo also competed concurrently in the Open Show taking 4th Place in Intro Level, Test A! Congratulations to Jr. Championship Competitor Scout Gilliam and Shaka on their successful ride in Intro Level, Test B! 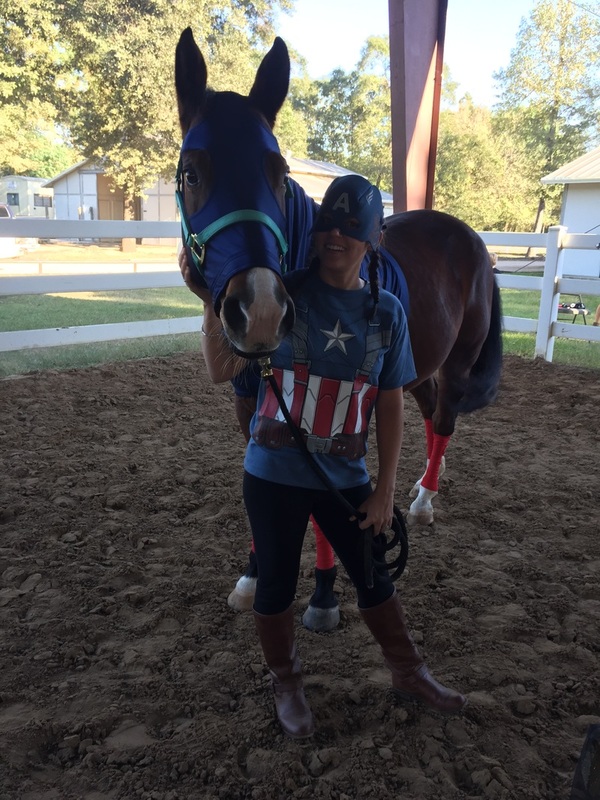 ​Another Spooktacular Halloween at Callegari Equestrian! 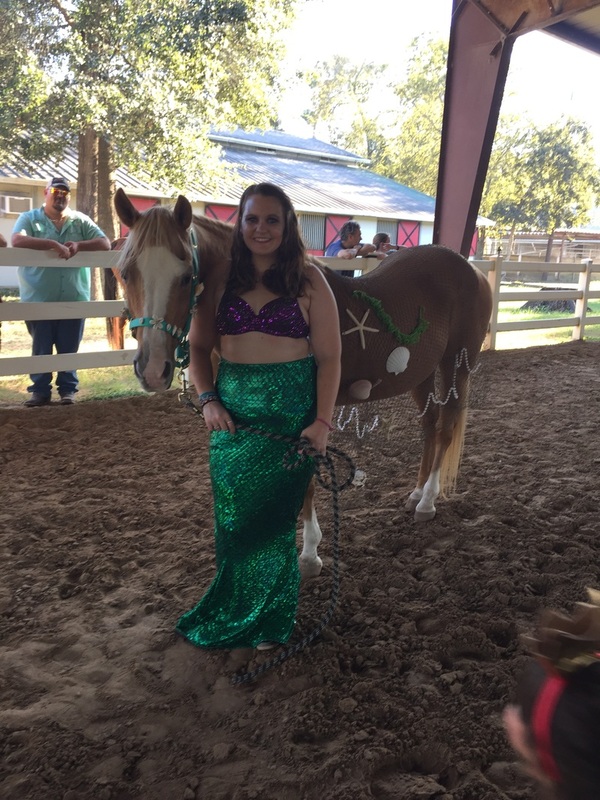 It was another outstanding turnout for our Annual Halloween Costume Contest! 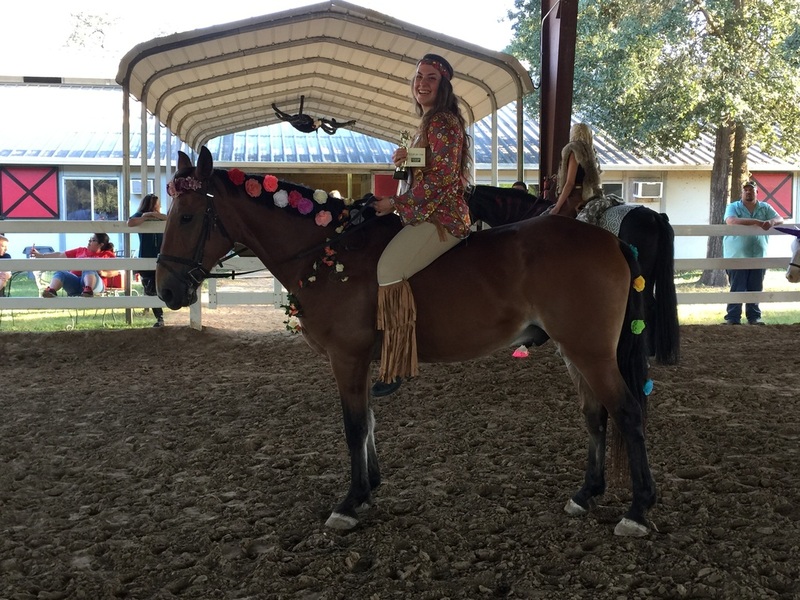 Our boarders do such an incredible job of creating the most amazing costumes for themselves and their horses! So happy to have such an awesome group boarding with us - you all are the best! 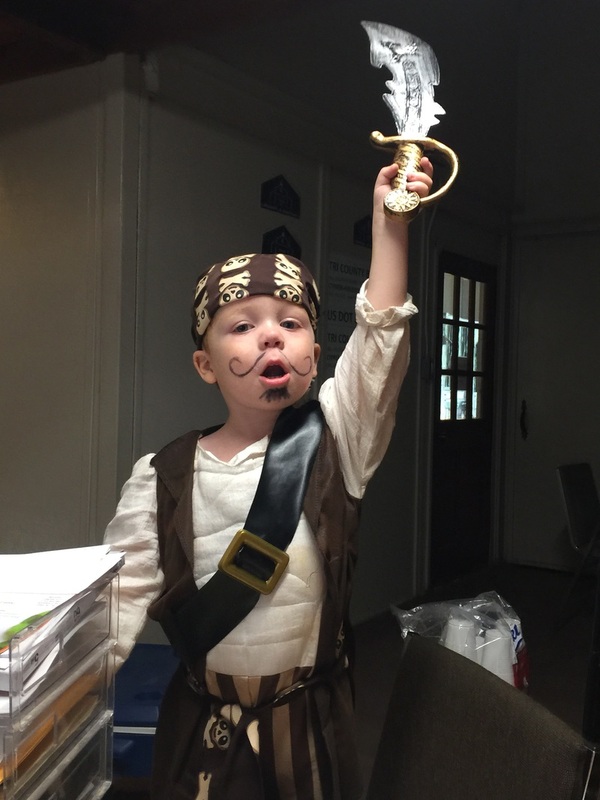 Thank you for making our 2017 Halloween Party so much fun! IT IS TIME TO PARTY TIME AT CALLEGARI EQUESTRIAN CENTER! The witches will brew on Halloween night. 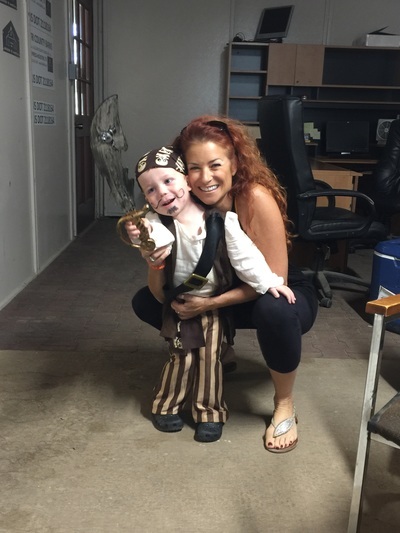 In your scariest costumes and come here, of course! Friends, Fun, Food & Festivities for all!!! the successes of our amazing Boarders! 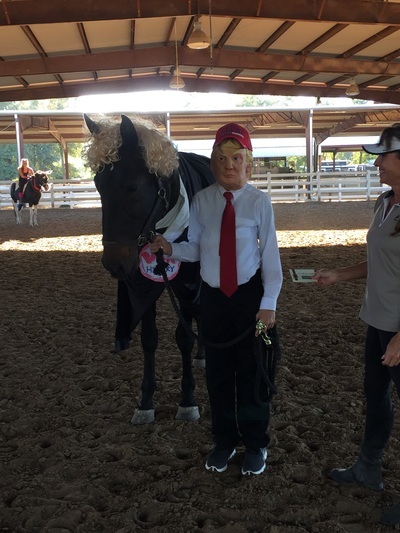 Sophia and Antonio Rodriguez, two dynamic junior riders at Callegari, took their places among the winners at the Houston Dressage Society Championship Schooling Show held at the Great Southwest Equestrian Center in Katy, Texas on December 10, 2016. 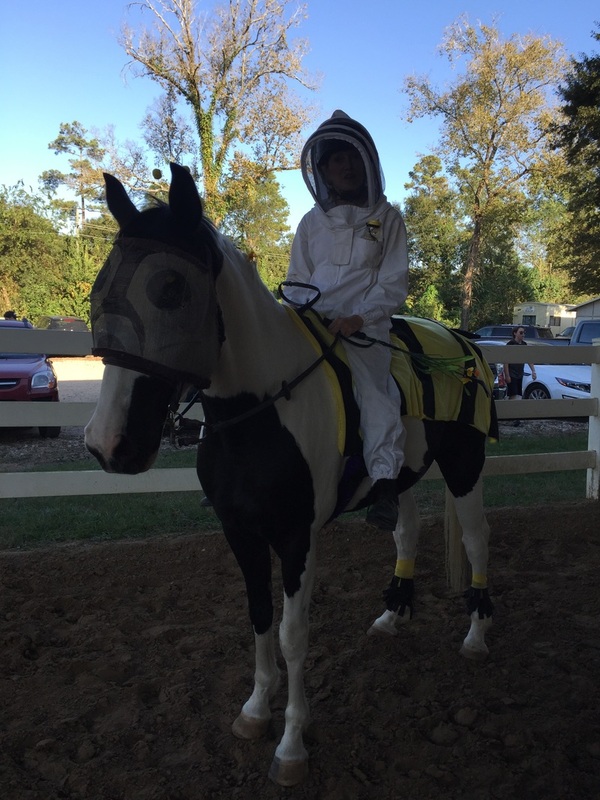 Sophia and Antonio are avid equestrians. Two talented siblings who are committed competitors - determined to excel in their sport. Their focus and dedication were rewarded by the judges at the show where they were awarded the high scores they deserved. It is with great pride that we applaud them on their award winning rides! 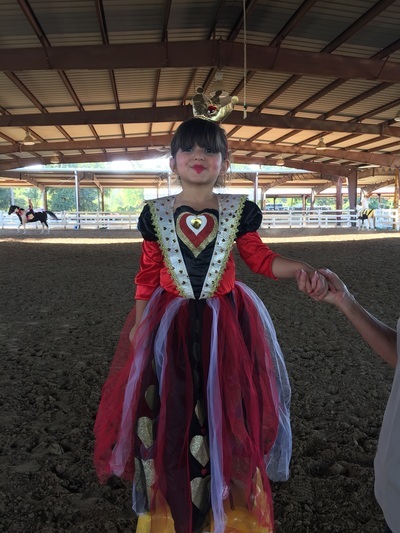 Congratulations, Sophia and Antonio Rodriguez! We look forward to sharing many more equestrian successes with you! 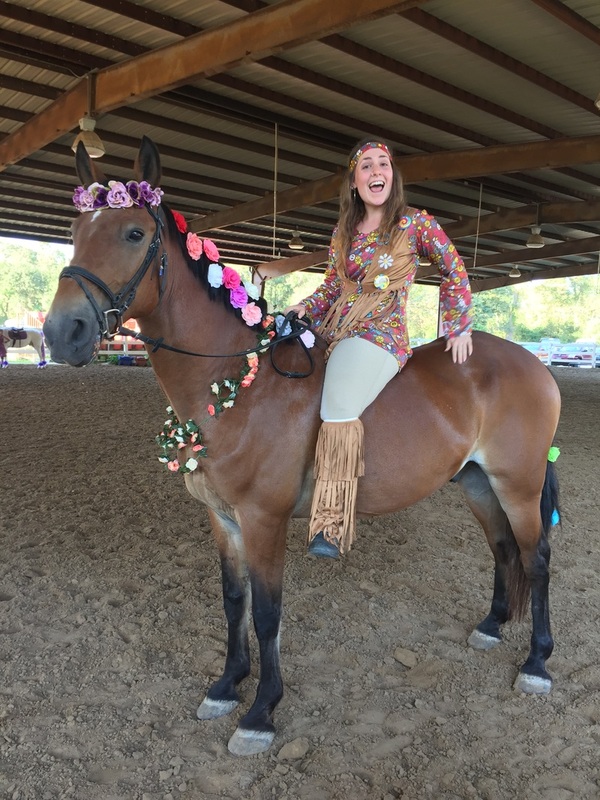 2016 CALLEGARI EQUESTRIAN HALLOWEEN COSTUME CONTEST!!! 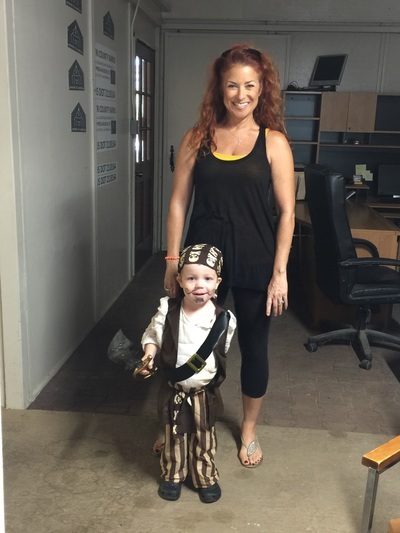 Our contest judge, Karen McGowin and the littlest Queen of Hearts, Alexandria! All Hail, The Queen of Hearts! Captain Americas! Sammy and Meghan are our super friends! Pikachu... I see you! 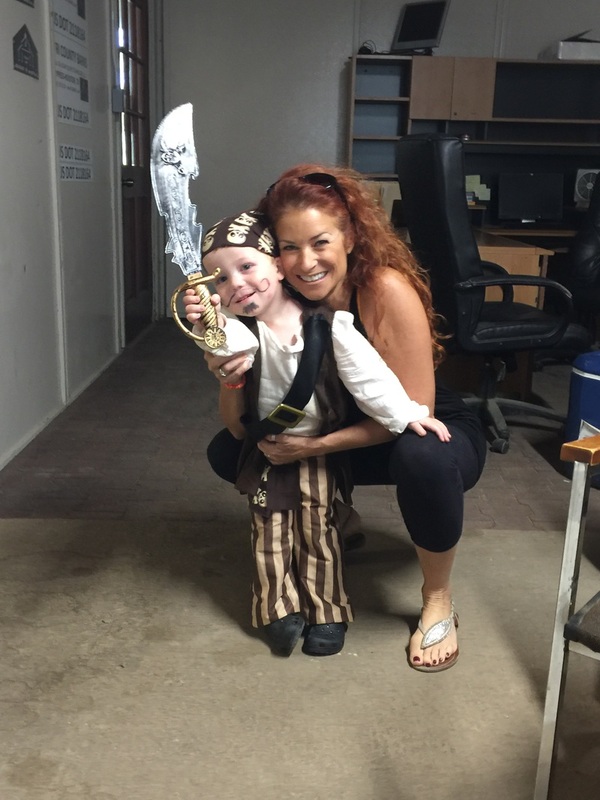 It's Caylin & Calypso! 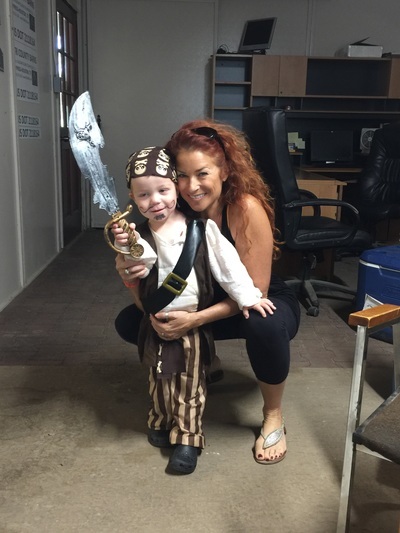 Jenni & Salute.... Bee'in Cute! Watching the clock in Wonderland... It's Tango & Savannah as,,, The White Rabbit & The Cheshire Cat! 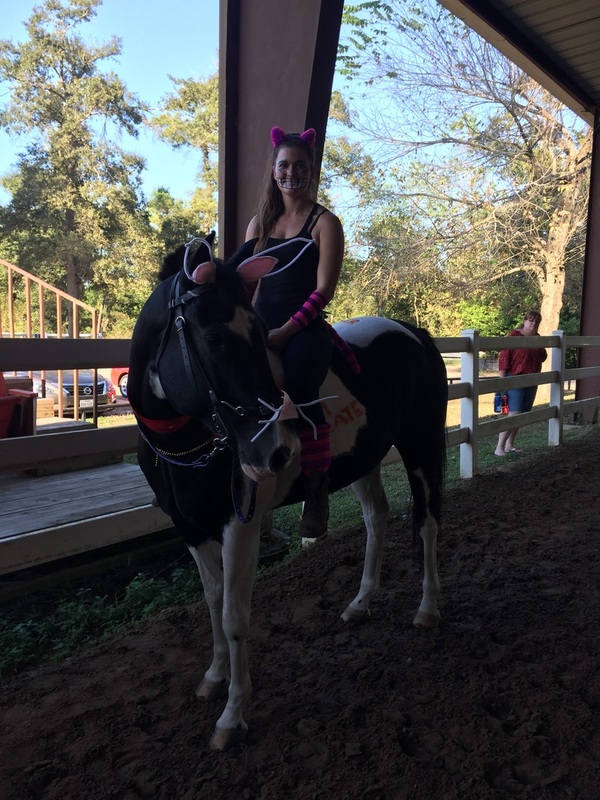 Tango & Savannah looking great as The Cheshire Cat & The White Rabbit! Halos & Horns... It's Pam & Trixie!!! Sometimes Angelic... Sometimes Devilish... but it's always Pam & Trixie! 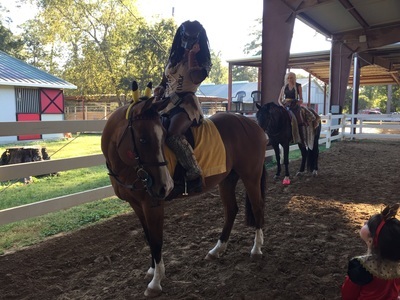 Our favorite Ghost Riders... Ruth & Buddy! 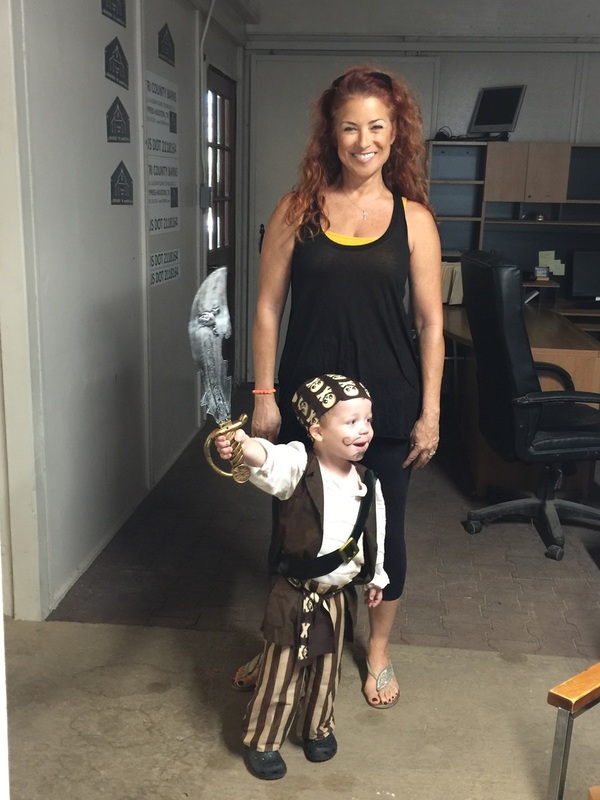 Lady Predator, Meghan and her captured Pokemon, Duke! 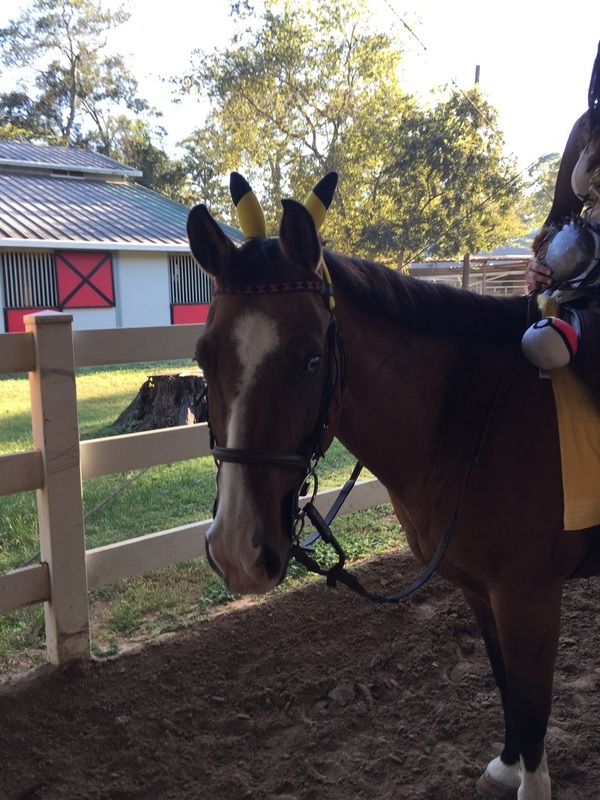 Representing Pikachu in equine form... Duke rocks it - red cheeks and all! 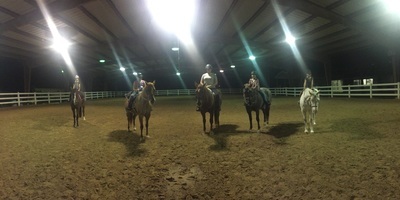 Check out our upcoming Clinics Page! Annual Callegari Equestrian Center Halloween Party!!! For boarder specific news please check Boarder's Corner! 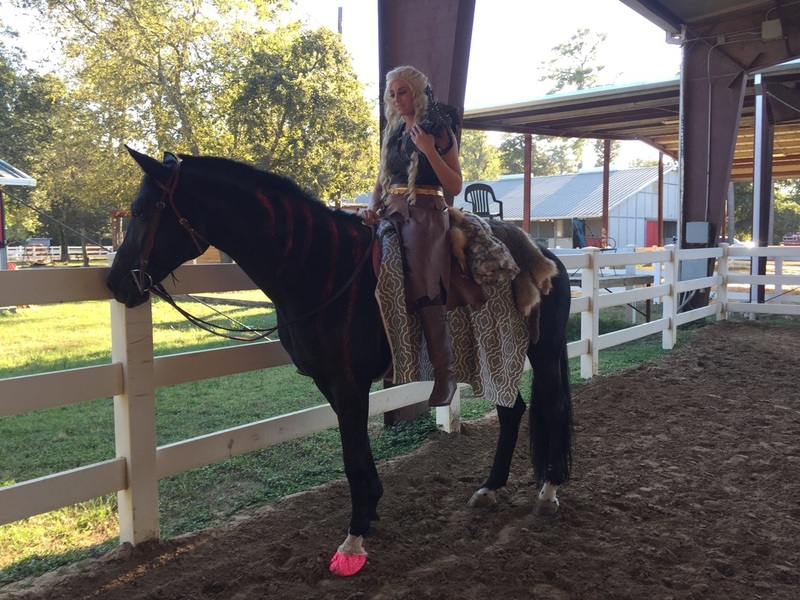 Keep posted with Callegari Equestrian!